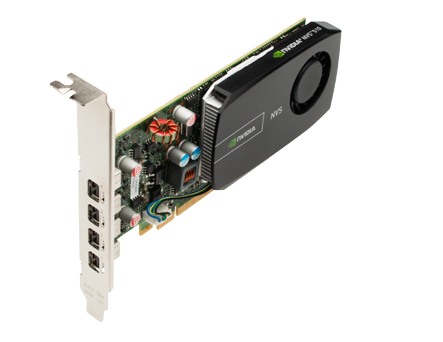 Reliably visualize any data across four displays with the energy‑efficient NVIDIA® NVS™ 510 business graphics solution. 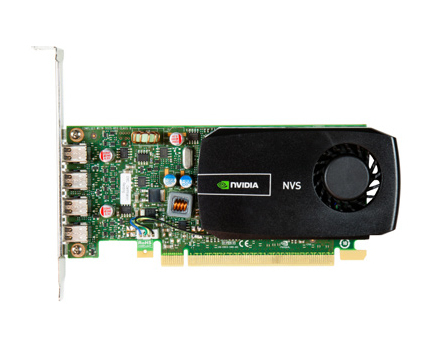 The NVIDIA NVS 510 gives you the latest graphics and display technologies—plus industry-leading, multi-display management capabilities—in an energy-efficient, low-profile form factor. This makes it the ideal graphics solution for professionals who need to visualize and digest a great deal of information in the financial trading, command and control, and digital-signage markets. 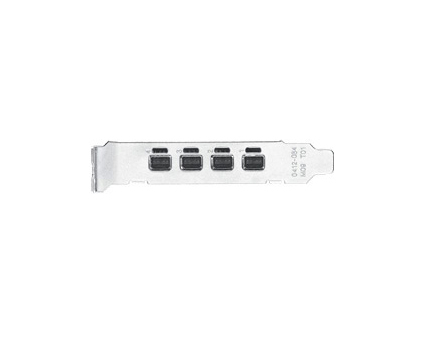 The NVIDIA NVS 510 features four compact mini DisplayPort connectors with a custom built-in retention mechanism, delivering ultra-high resolutions up to 3840x2160 @ 60 Hz1. 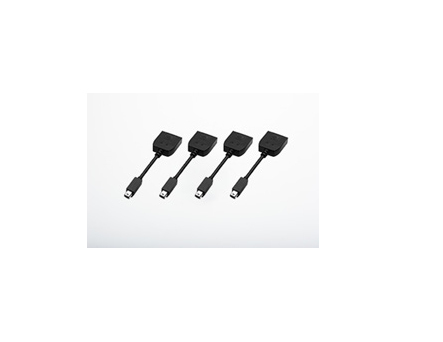 It also supports advanced DisplayPort 1.2 features like Multi Stream Technology and Stream Cloning2, which enables efficient cable management, as well as cost-effective multi-display installations. The NVS 510 is based on the latest NVIDIA Kepler™ GPU technology and configured with 2 GB of dedicated high-performance graphics memory. This means you get more than 3x the performance of previous-generation NVS solutions, without increasing overall power consumption. Along with NVIDIA’s Unified Driver Architecture (UDA) and suite of enterprise management tools, the NVS 510 offers a highly reliable solution for seamless wide-scale deployment and simplified resource management. 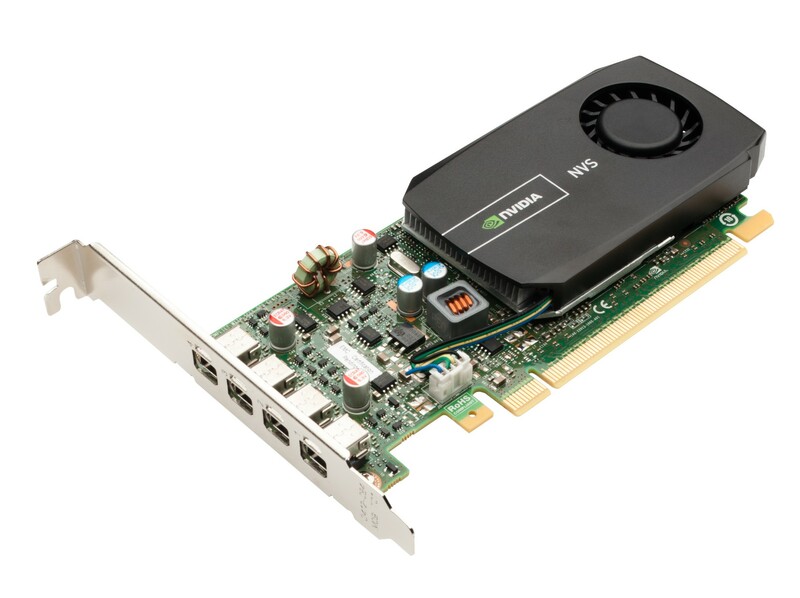 Its ultra-quiet active-cooling technology and low-profile form factor give IT administrators the freedom to fit multiple NVS 510 cards into space- and powerconstrained systems or existing installations.